Prime Ministers, Presidents, and voters worldwide like ESI indelible voter ink stain. Like many other products, our high-quality stains are a result of years of research and development, extensive use, and experience. ESI is highly capable of producing on short notice and delivering voter ink under very demanding time lines to some challenging, extreme destinations. Electoral Management Bodies around the globe know they can count on ESI to come through at a moment’s notice with large or small orders and rapid deployment. 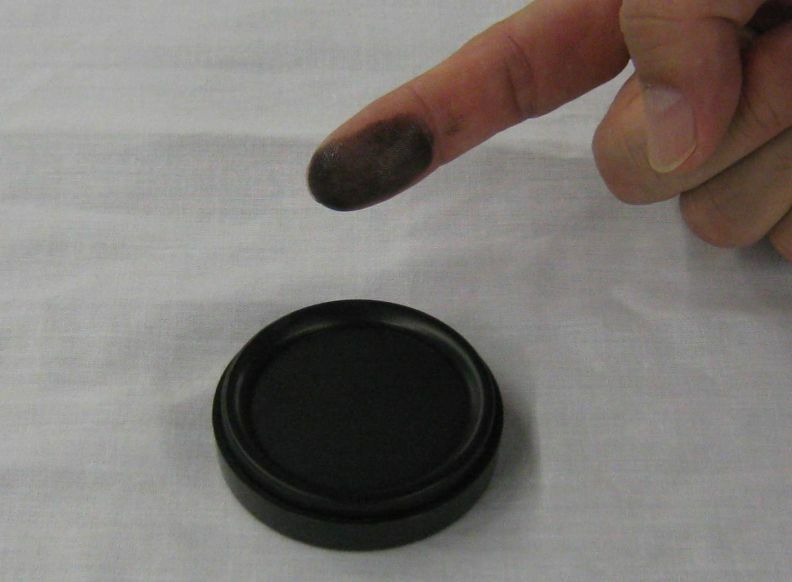 For more than 20 years, ESI has been providing high-quality voter ink stains to electoral commissions around the world with great success and to the total satisfaction of EMBs. 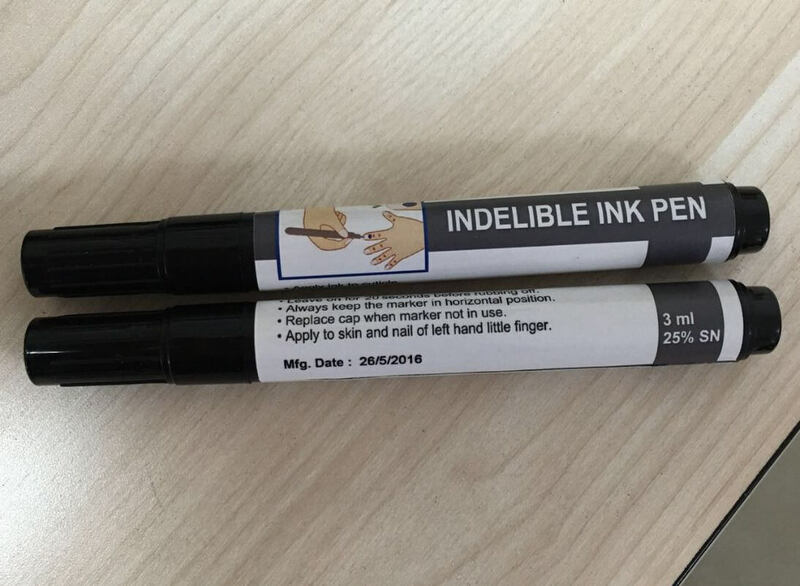 Our indelible voter ink is the industry standard, in both quality and all other specifications. Silver Nitrate percentages now used for standard specifications were identified through trials and testing carried out by ESI over the past two decades. Today, those very percentages are still used extensively for Silver Nitrate concentrations; they are 25%, 20%, 18%, 14%, 12%, 10% and 7% concentrations. The highest concentration of 25% was established by ESI to be the strongest optimal amount of SN in our indelible voter ink. Lower concentrations were introduced in later years by ESI as a cost-savings measure in response to the increased price of silver. Early testing by ESI shows the most appropriate and cost-effective concentrations are 14%, 18 to 20%, and 25% and are by far the most popular and desirable formats, millions of voters agree. Our bottles and packaging are now industry standard and copied extensively. 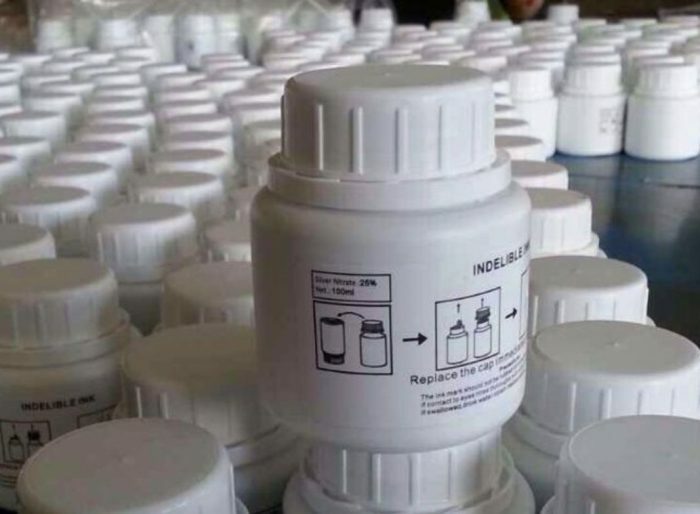 The 60 and 80 ml applications are standard volume, although many in the business get bottle size and volume mixed up. The bottle size for standard amounts of 60-80ml is just over 90 ml! 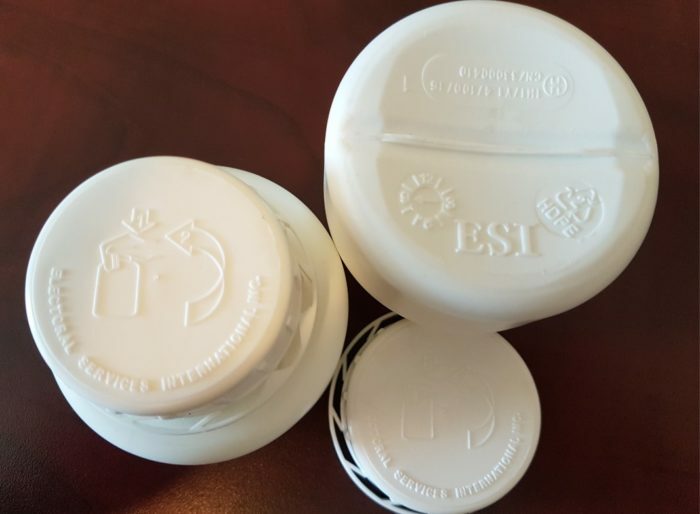 The ESI sponge insert is also an industry standard and copied extensively as well. It is of extremely high quality and few others have been able to duplicate or match our sponge. ESI has always delivered its indelible voter ink with heat sealed bottles; a quality most, if not all EMBs, demanded but only found available with ESI. In recent years, many of our competitors were obliged to provide this technology in order to avoid unacceptable deliveries of ink that spilled or leaked during transport! SHELF LIFEOne year in a dark and normal room temperature.